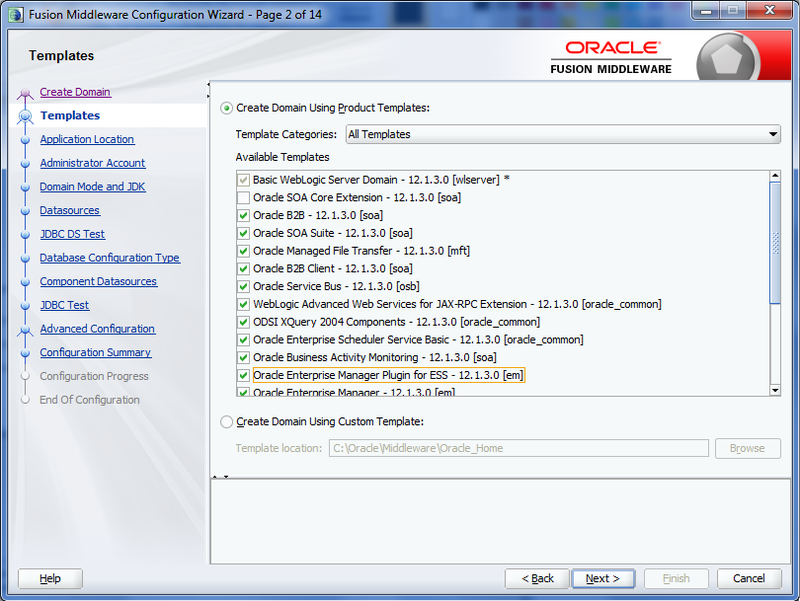 This is Chapter- 2.3 of Oracle SOA 12c Step By Step Installation Series and Chapter-3 of MFT Installation series. 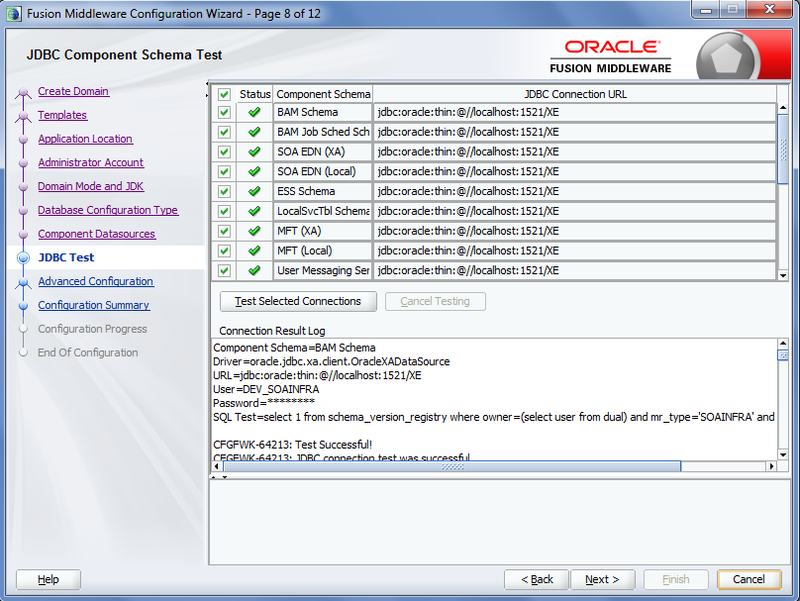 Before this post, you need to read Chapter-1 and Chapter-2 for Oracle SOA 12c Installation. You need to complete Chapter-1 and Chapter-2 for MFT Installation. In Chapter-2.1 we discuss about how to create integrated weblogic server default domain, in Chapter-2.2 we discuss about how to create standalone domain for integrated weblogic server which also use Java DB. 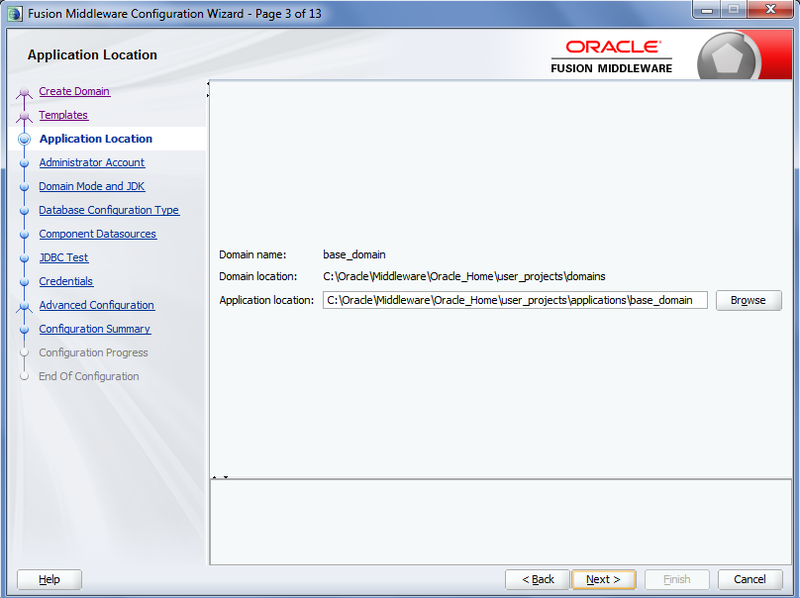 We can also create compact domain which use Oracle Database. We need this domain when we need to work Enterprise Scheduler, Managed File Transfer, B2B, Heathcare, or BAM components as these components are not supported for Java DB. Prerequisites to create this domain. 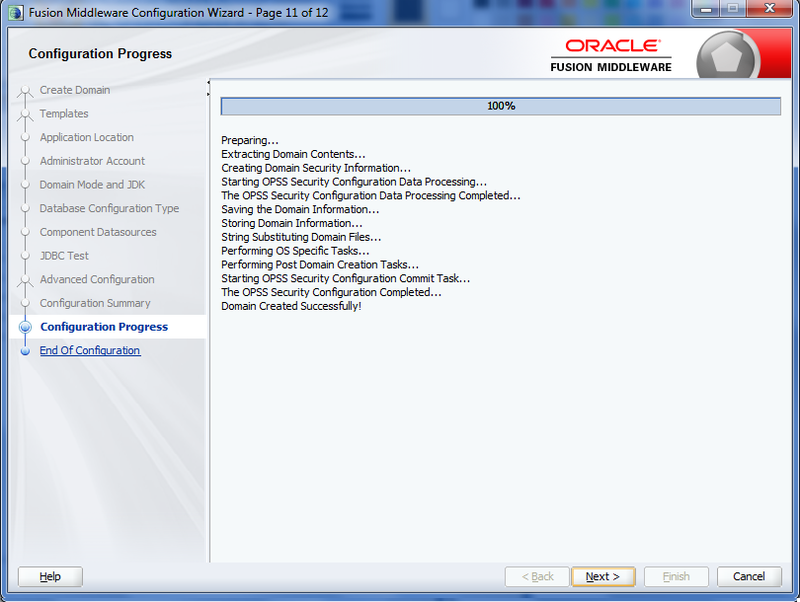 Oracle database should be installed. 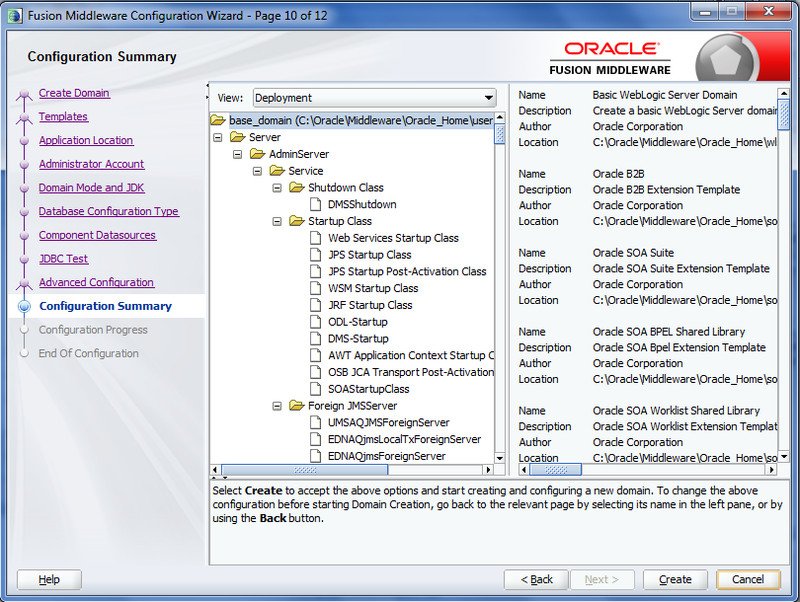 See Chapter-2.3.1 to see how to install Oracle Database. 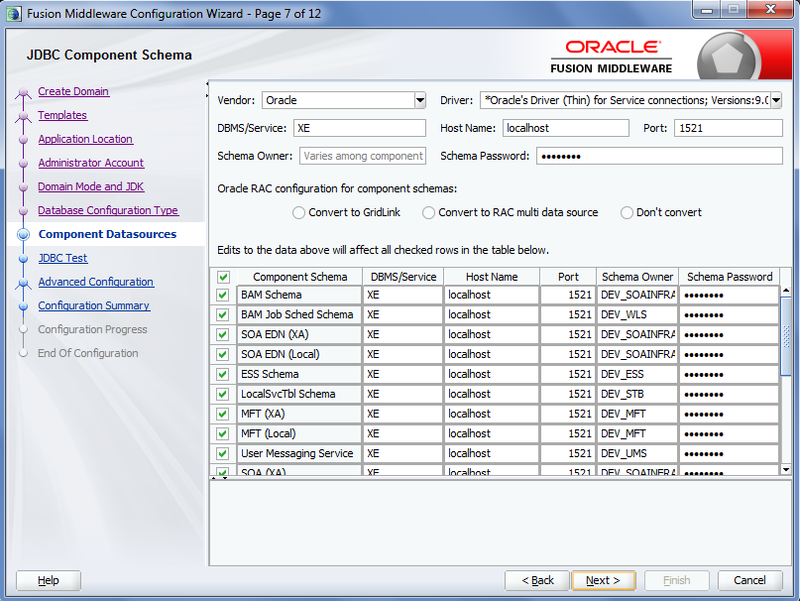 Required schemas are created using 12c RCU. 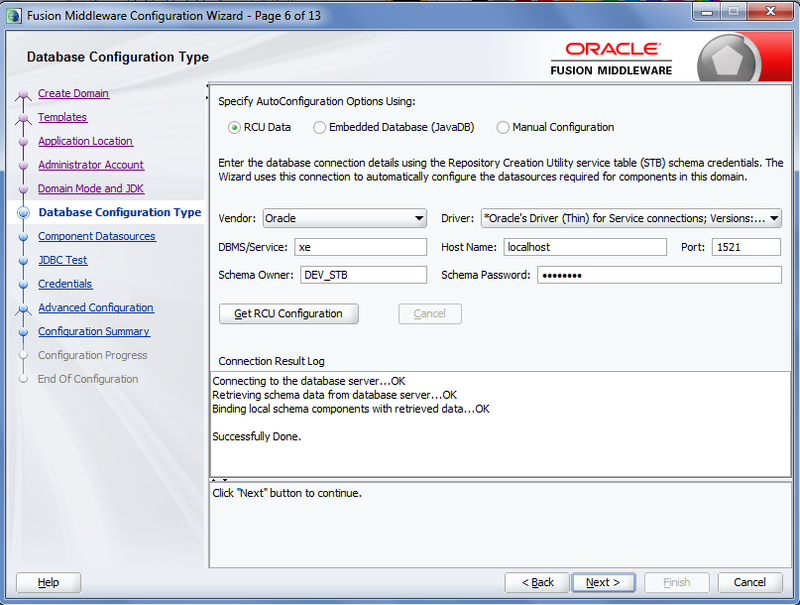 See Chapter-2.3.2 to see how to run RCU. 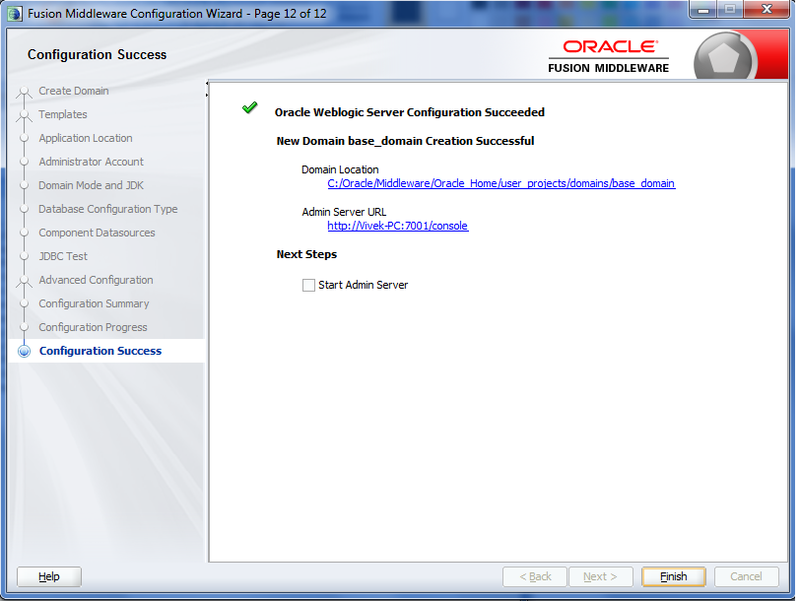 Oracle SOA 12c is installed. Let's start with domain creation. Run below commands on command prompt. 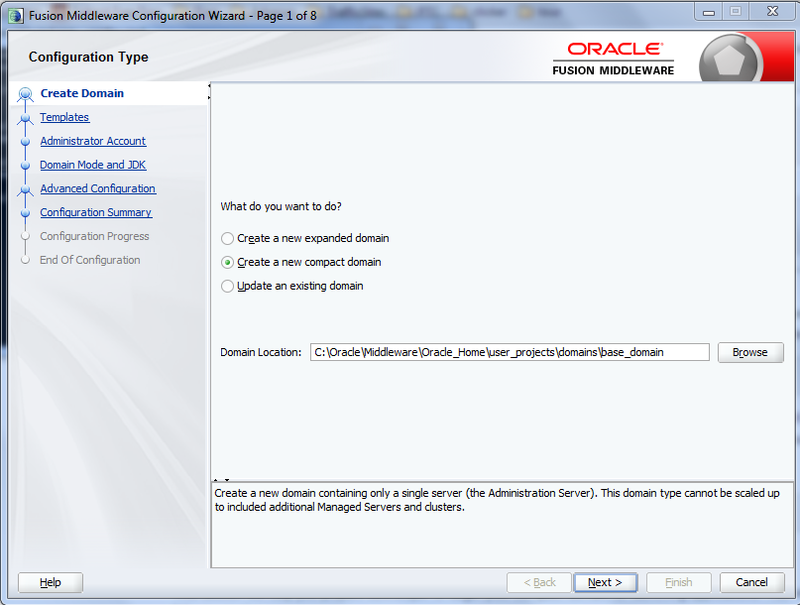 To create the compact domain, choose "Create a new compact domain" option. Choose required options and click on next. Change the application location if you want to and click on next. 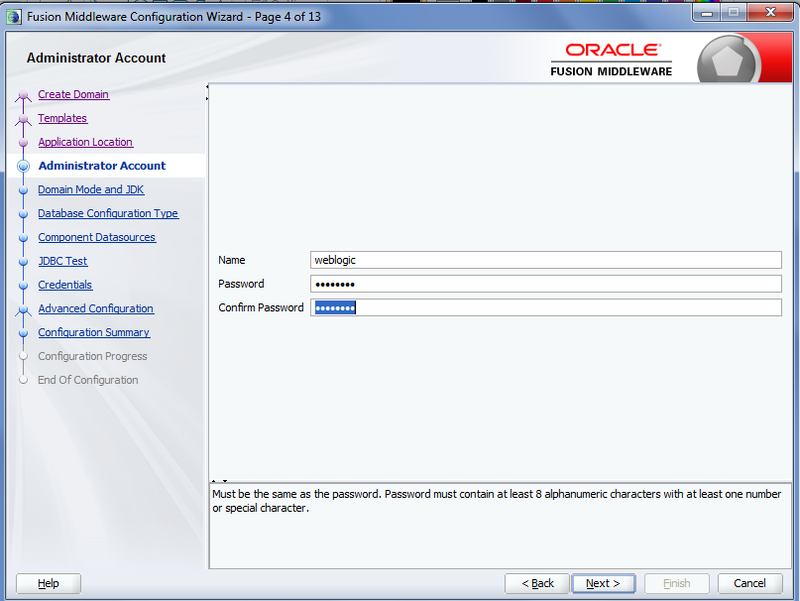 Provide the server password, this username and password we user later to login to the server. 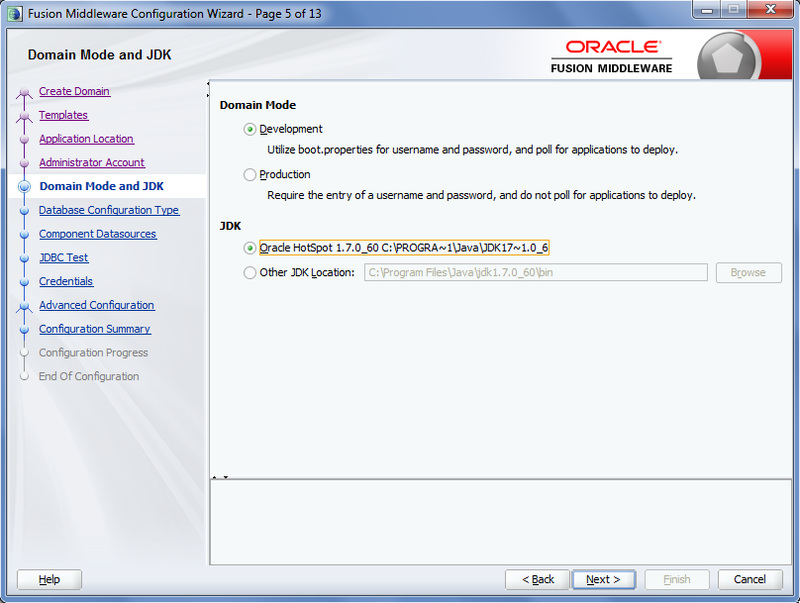 Choose domain mode and choose Oracle Hotspot JDK. Choose the RCU option and enter the database details. 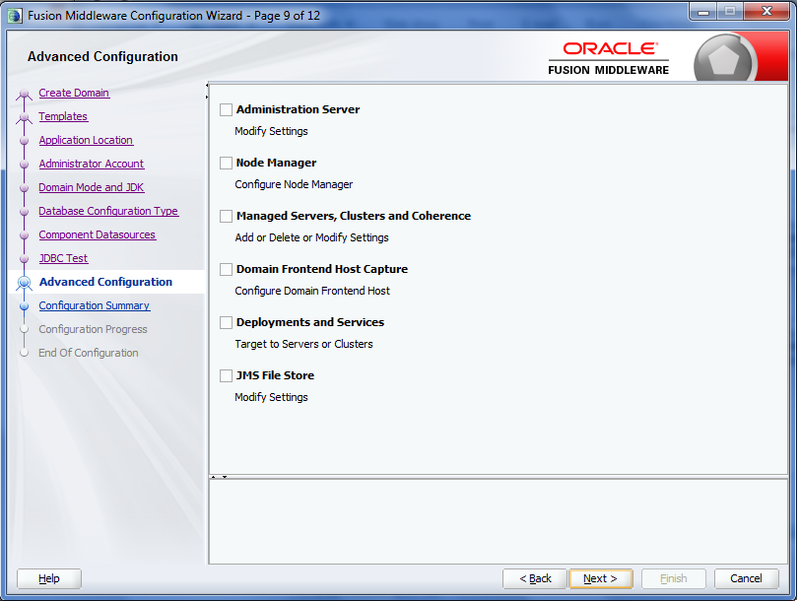 Click on Get RCU Configuration and then click on next. All connections test should be success. We need not to choose any option for compact domain. Just click on next. while running config.cmd command i am getting an error 'config.cmd' is not recognised as internal and external command .Please, help me out on this. What is difference between compact and expanded domain? Please read below post for that.